I love a good crop pant. Being on the shorter side, pants are usually way too long on me and I always have to end up getting them hemmed or just continue on the search for the perfect fitting pants. 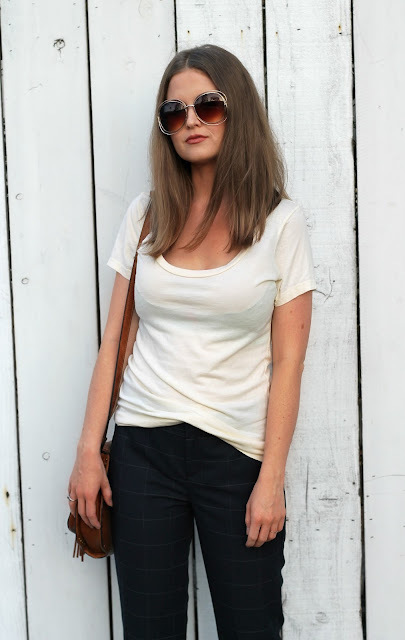 I love that these crop pants are perfect just the way they are. They are comfortable and fit true to size, so ordering online is easy! They are perfect to dress up with a blouse, fitted blazer and heels or to dress down like I did today. Typically when I head into the office I like to be put together without being too causal or dressed up and I feel like this is the perfect balance of those two. 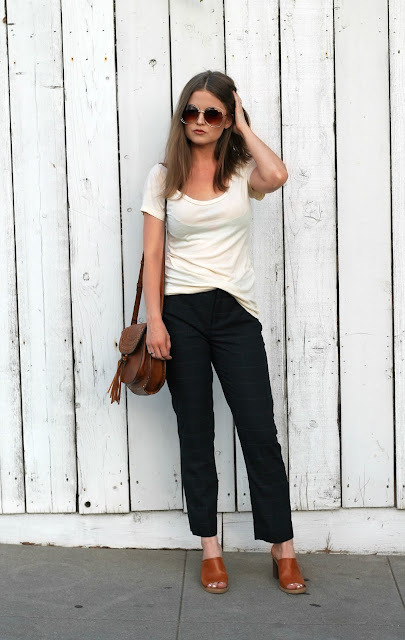 These pants are a part of their new fall collection which I am obsessing over! Did you see my other post with this gorgeous cardigan?! I'm obsessed to say the least and wear it almost three times a week! Don't forget to check out all of the new fall arrivals at BananaRepublic.Com and let me know what your favorites are! Also, if any of you are camera gurus I have a question for you! I feel like lately my pictures have been slightly blurry for some reason. My lens and camera seem to be working fine so I'm not sure what the problem is. Any advice would be greatly appreciated! I use a 50 mm lens if you're curious! I hope you all are having an amazing week so far. *Banana Republic compensated me for this post. All opinions expressed are my own.